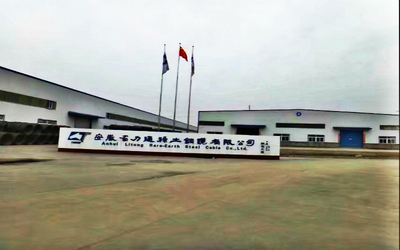 Anhui Litong Rare-earth Steel Cable Co.,Ltd is located in Dangtu Economic and Technical Development Zone,Ma’anshan City,Anhui Province,China with an ideal geographic location .It is one of Chinese large-scale professional metalwork manufacturer. 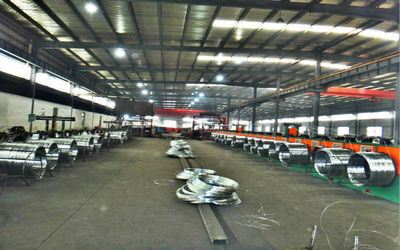 Our company was founded in 2000 with one hundred and forty thousand square meters. The total building area is 110 thousand square meters. Workshops covered ninety-five thousand square meters, Office building and other auxiliaries coved fifteen thousand square meters Our registered capital is RMB 1.5 hundred million and registered trademark is Litong-Huanqiu. There are 236 employees and 37 professional technical engineers in each department .We have passed and carried out International Quality System ISO9000. 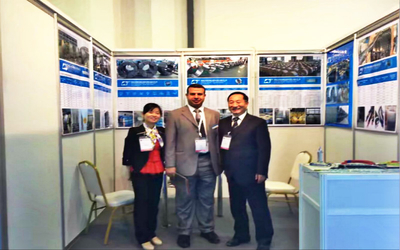 Our Company introduced the most advanced Press-concrete Steel Strand production line from MARIO FRIGERIO in Italy in 2000 years and became the professional Press-concrete strand manufacturer. Our annual output is 160 thousand tons and second-period project will be put into production Its annual output will be 300 thousand tons. The High strength and Low-relaxation PC Steel Strand is our main products, which are widely used on Railways and Bridges , like Ningbo-Hangzhou Railway Line for Passenger Traffic And Industrial and Civil Architecture ,such as Hongqiao Hub of Communications, Shanghai New International Expo Center, Pudong Airport Logistics Center Projects, Reservoirs and Cofferdams.And High Speed Road,like Wuyan High Speed Road.Except PC Steel Strand. Our company also produce Galvanized steel wire strand,Zn-Al-Mischmetal alloy coated steel wires and strands,Anti-corrosive Aluminium Conductor Steel-reinforced,Aluminium Conductor Steel-reforced,Zinc Aluminum Rare-earth alloy coated steel wire strand,which are widely used on telecommunication and power auxiliaries.All of our products are produced as per State standards and International standards.our products are not only supplied in domestic market,but also in international markets,such as the USA,Iran,South Korea,Japan,Angola,Venezuela,Ghana,Nigeria ,Jordan and other countries and ares.We received high praises from customer and stepped into one of chinese large-scale professional metalwork manufactures . 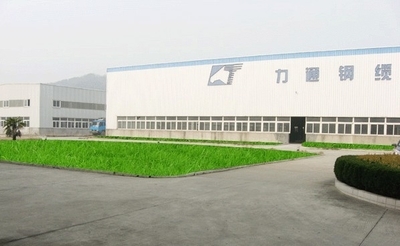 We,Anhui Litong Rare-earth Steel Cable Co.,Ltd establised in 2000 with first factory in Wuhu,for the expanding business ,we establised another factory in Dangtu industry Park,Ma'anshan,Anhui,China in 2009. We ,Anhui Litong Rare-earth Steel Cable Co.,Ltd produce Galvanized steel wire,Galvanized Steel Wire Strand,PC Strand,ACSR Conductor,Power cable,Aluminum Clad Steel Wire,Aluminum Clad Steel wire strand etc.and offer OEM service! Board Chairman----General Manager--Vice General Manager--Finance Director--Technical Director--Marketing Manager-- Administration Manager---Sales Manager-Purchaser manager---Production Manager--Production Supervisor-QC Manager --Line Supervisor--Stock manager.